Now proudly serving Orlando, FL including, Oveido, Winter Park, Casselberry, Heathrow, and the surrounding areas! WOW 1 DAY PAINTING Orlando East We bring a fast, affordable and high quality solution for all interior or exterior residential, commercial and industrial painting projects. We respect your time as much as you do and provide the quality paint job you expect, in a timeline that is unexpected. Victor Collazo is a US Army veteran and has several years as a Project Manager. His leadership background, attention to detail, exceptional customer service and knowledge has provided him with the skills necessary to provide value to his customers and team. 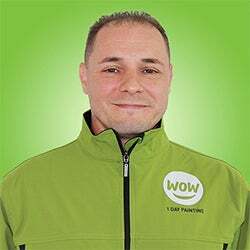 Victor chose WOW 1 DAY PAINTING as it offered the independence of small business ownership supported by the benefits of a big business network along with having an established reputation and image, proven management and work practices, access to national advertising and ongoing support. Make your home into a showpiece with custom painting! The professionals at WOW 1 DAY PAINTING have helped dozens of your friends and neighbors turn boring white walls into luxe interior spaces. 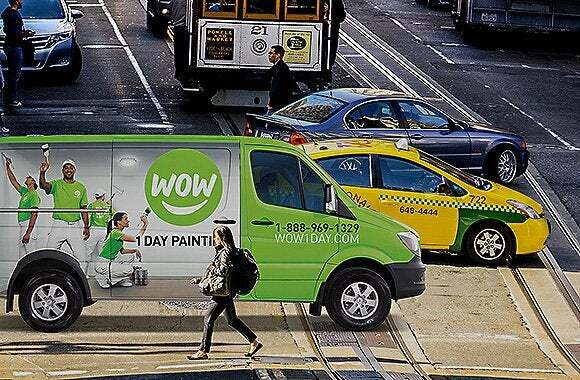 Homes in "The City Beautiful" deserve to be gorgeous – discover why WOW 1 DAY PAINTING are preferred painters Orlando, FL. Ready to make a change? WOW 1 DAY PAINTING can boost your curb appeal or update the overall appearance of your home. Our friendly uniformed teams approach each job as if the home is our own, with exceptional detail. We have the highest standards for exterior painting – because our clients deserve them. From trim to decks, we've got you covered. Exterior painting services include removing dirt and mildew, followed by thorough prep, creating a uniform finish. Give your deck treatment to last, including painting, staining and seal coating to withstand even the heaviest Florida storms. Relax in the privacy of your backyard and enjoy a lovely painted fence, creating an idyllic retreat. WOW 1 DAY PAINTING teams are guaranteed awesome (And fast. And friendly), and they don't just stop at painting your home's interior walls. We can transform an entire space with custom paint and stains. If you've recently remodeled or simply fixed up your home, let us give that final polish to create a soothing environment. Accidents happen – and when you need drywall repair, our crews can patch you up and paint over, leaving your walls looking as good as new. Give your kitchen or bathroom cabinets special flair with custom cabinet painting. Update your interior with expert wallpaper removal. Don't try to DIY – leave this in the hands of the experts at WOW 1 DAY PAINTING. Turn a dated living room into a cozy family den by removing "popcorn" ceiling finish. Your home isn't the only place to shine after the team from WOW 1 DAY PAINTING finishes. Update your office or commercial space and give it a professional appeal with our commercial painting services. 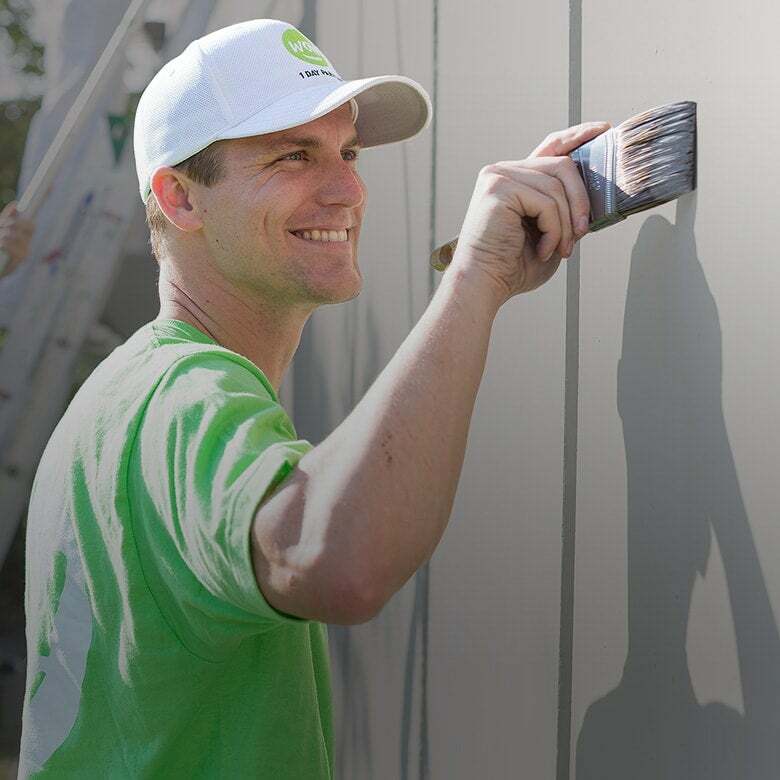 Our painters in Orlando get in and out in a day, including clean-up, to ensure that your business has minimal interruptions. Using highly trained teams and proven techniques, the painting process typically takes just a day, from thoroughly preparing each surface to properly take the paint to complete clean-up, down to the last chip. Once the surface is primed, our teams complete the paint job and perform a quality inspection at the end. We then give you the final approval – we aren't done until you're completely satisfied. See what a difference a day makes. Visit us online or give WOW 1 DAY PAINTING a call for a custom quote.